Gustavo Castro Soto, a Mexican human rights defender is the sole witness of the attack and is now held against his will by Honduran authorities. His life is in danger. Please click on this link to the Center for International Environmental Law to send a letter to Mexican and Honduran authorities demanding safety for Gustavo and an end to violence against COPINH. Our Mother Earth – militarized, fenced-in, poisoned, a place where basic rights are systematically violated – demands that we take action. These are the words of Honduran indigenous leader Berta Cáceres, murdered in her home as she slept. Her assassination has shaken human rights communities worldwide. The co-founder of the National Council of Popular and Indigenous Organizations of Honduras (COPINH) was a tireless crusader for indigenous land rights. Her stand with the Lenca indigenous communities of Honduras in their struggle against the Agua Zarca Dam along the Gualcarque River earned her the prestigious Goldman Environmental Prize in 2015. But, as many have sadly pointed out, even this high profile award did not protect her from the death squads that operate under the nose of the local police assigned to protect her. In Honduras the cold-blooded murder of indigenous, environmental and peasant activists has returned as the coercive tool of choice for the voracious land grabbers and dam developers empowered by the coup that ousted the democratically elected Zelaya government. Widely condemned by Latin American governments, the 2009 coup was quietly accepted by the United States. Secretary of State, Hillary Clinton was quick to recognize the new Honduran regime and worked to prevent a return of Zelaya. Actually, over 100 organizers have been killed, many of them Indigenous Peoples and small scale farmers engaged in nonviolent struggles for land and territory, including Tomás Garcia of COPINH and Margarita Murillo of La Vía Campesina, Honduras. These assassinations are acts of terrorism. The point of terror, of course, is to immobilize people with fear. It is used to send a message to the peasant and indigenous communities being brutally displaced by the expansion of sugar cane, palm oil soy plantations, by dams and by land speculators. The message is simple: do not resist. The message is simple: do not resist. The message of terror is not just for Hondurans but for the millions of rural communities in the Americas struggling to stay on their land, trying eke out a livelihood and avoid the perils of migration. The powerful forces of international capital are speaking very clearly to them: you are expendable. The message is also for international advocates of environmental protection, human rights, indigenous rights, and even agroecology. It is offhanded: you are irrelevant. But for the Central American Bank for Regional Integration and the Dutch and Finnish banks financing the Agua Zarca project; for the Swedish and German firms providing the engineers and technologies; for DESA, the Honduran company building the dam and the USAID officials supporting project; for the death squads operating throughout Honduras, for the architects of the 2009 coup and for their supporters in the US State department, there is a very different message: you are safe. … for the architects of the 2009 coup and for their supporters in the US State department,there is a very different message: you are safe. Bertha Cáceres was awarded the Goldman Prize to inform the international community of the environmental destruction and human rights abuses of the Agua Zarca Dam. The Prize also hoped to help protect her life by raising her international profile. In this it failed, not because the Prize didn’t help insulate a brave leader from violence, but because COPINH and the Lenca peoples were actually successfully mobilizing local and international support to stop the dam. Terror paralyzes. It silences and it divides. It pulls a veil over the intentions behind the act itself, allowing the real criminals to proceed with impunity. Leaders like Berta Cáceres have shown us that to stand up to terror is to confront the entire structure of terror–from the perpetrators and accomplices to the vested corporate interests and halls of state. 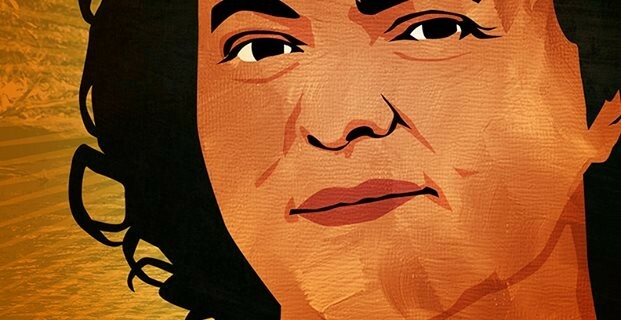 In Honduras, there are many who will step forward to pick up Berta Cáceres’ cause. It’s time for the rest of us in the international community to come together to denounce not just her murder, but the politics and the structures of terror itself. See a version of this article on the Huffington Post.